Gulf Concrete Technology (GCT) is now manufacturing modular Structural Concrete Insulated Panel (SCIP) components in Long Beach, Miss. The company is rolling out their easy-to-assemble, SCIP building system across the USA for constructing disaster-resistant offices and homes that can be designed to withstand hurricane-force winds and air borne debris, plus offer superior fire-resistance. To deliver the ideal thermal properties and energy savings suited to each climate zone, GCT also provides different depths in the insulating EPS core specifications. Victor Camacho, PE, MEM, VP Gulf Concrete Technology, has a growing portfolio of completed US projects that showcase the versatility of the GCT system for builders and architects. The technology used for GCT’s components has been subjected to extensive independent testing completed in September 2012, following ASTM E72 Strength Tests of Panels for Building Construction standards. The system is proven to meet IBC, IRC and ACI standards. GCT also has developed and tested high-performance specifications for use in defense, law enforcement and other security conscious buildings demonstrating that GCT standard walls are bulletproof up to Level III and will withstand explosions. The manufacturing plant was completed in 2010 to provide the initial capacity to serve the large US market. 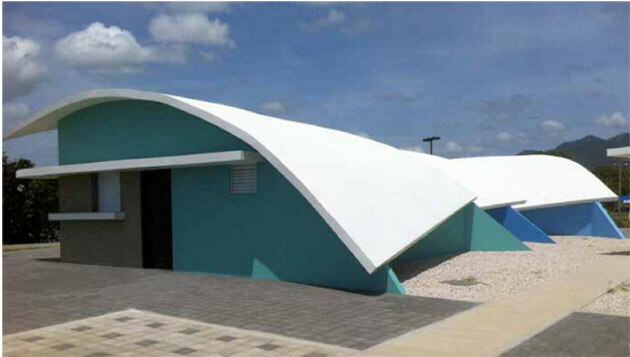 Even before the US product offering, the system has been tested and proven for more than four decades around the world, including in Puerto Rico where concrete construction is the preferred building method. 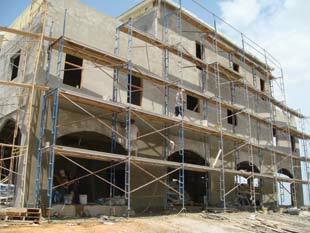 In densely populated San Juan, the sound reduction and energy-efficiency are added benefits. Following devastating hurricanes in the US Territory of Puerto Rico in the 1930s, congressional legislation tied financing for post-hurricane rebuilding to methods that were highly disaster-resistant and therefore more insurable. As a result, 90% of homes in Puerto Rico now are concrete construction and have proven to safely withstand earthquakes and even Category 5 hurricanes. GCT SCIPs are prefabricated, lightweight structural sections consisting of an expanded polystyrene insulating core that is sandwiched between two layers of steel-welded, galvanized wire mesh. After the GCT panels are placed and secured, a high strength, 4000 psi, portland cement-based mortar mix is applied using a low-pressure pump, such as the M-tec monomix mixing pump. 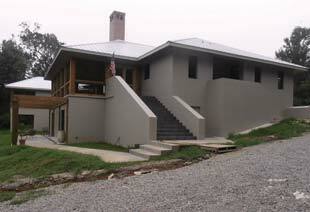 Then, the mortar is hand troweled to achieve the desired finish. The unique modular system includes various sizes of roofing, wall, stair, landing and floor panels. Once the single panel is covered with the high-strength cementitious mortar, it becomes a load-bearing element suitable for up to 4-story construction. The GCT system brings higher energy savings and the properties required for blast-resistant, wind-resistant structures. GCT’s system also can be combined with traditional reinforced concrete or steel beams and columns for structural supports where more height is required. The company reports that the products comply with SFBC Sections 2309 and 2315. The standard SCIPs showed capacities in excess of 126 pounds per square foot pressure during testing, which represents over 225 mph wind loads. The GCT installation manual fully describes the process of assembling SCIPs and applying structural mortar. Contractor training is available in GCT’s Mississippi factory and their experienced technical team and engineers are available for product support and technical assistance. Copyright © 2017 Concrete Homes Magazine. All Rights Reserved. Designated trademarks and brands are the property of their respective owners. Publications & Communications L.P.